The Spring 2019 St Gregory Society Newsletter is here. The Second Sunday in Lent will be celebrated in a Latin High Mass at St. Stanislaus Church in New Haven on March 3, at 2:00 pm. The celebrant will be the Rev. Jan Pikulski. Between Moses and Elias, Jesus shows forth his divine glory, thus foreshadowing His resurrection. He is the Alpha and Omega, the beginning and the end of all things. 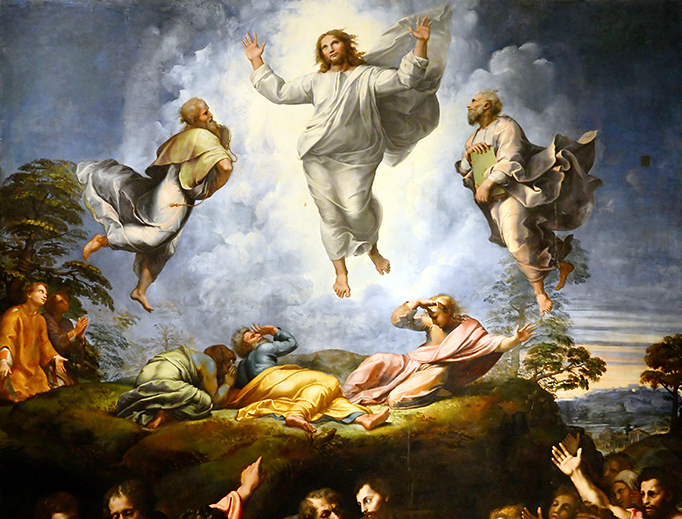 Today’s Mass places before us the transfigured Lord and the model toward Whom we must tend, and our own transfiguration as the goal we must attain. We reach this goal by a profound realization of our sinfulness and need of a Redeemer; by preserving purity of body and soul; by combatting our passions and carnal instincts and observing the commandments; and, most importantly, by participating in the Mass. Let the light of the grandeur of Jesus transfigured prepare us for a contemplation of the humiliation of His Passion. Music for the service performed by the Schola Cantorum of the St. Gregory Society, will include the Gregorian chant Missa Orbis factor (Vatican edition XI), the chant proper for the Mass (Reminiscere), and polyphonic motets by Giovanni Pierluigi da Palestrina and Orlando di Lasso. REMINDER: The Ash Wednesday Mass will be offered at 5:30 p.m. TONIGHT. It is Low Mass. On Sunday, March 3, Confessions will be heard beginning at 1:30pm and very likely after Mass. Low Mass will be offered on Ash Wednesday, March 6, at 5:30 pm. Quinquagesmina Sunday will be celebrated in a Latin High Mass at St. Stanislaus Church in New Haven on March 3, at 2:00 pm. The celebrant will be the Rev. Jan Pikulski. The Church has given us in today’s sacred Liturgy the Gospel of St. Luke in which our Lord prepares His apostles for the coming sufferings, that is, His sacred Passion in Jerusalem. The blind man represents the sinners who break their relationship with God, thus rejecting the offer of the promises of the Kingdom because of fallen man’s own selfishness in pride. We ought to understand the blind man as a model. It is said that “this man has lost the light and knows it” while “others lose the light and refuse to acknowledge it.” Some of have a keen awareness of the movements of grace and sin, while others are patently ignorant of them. 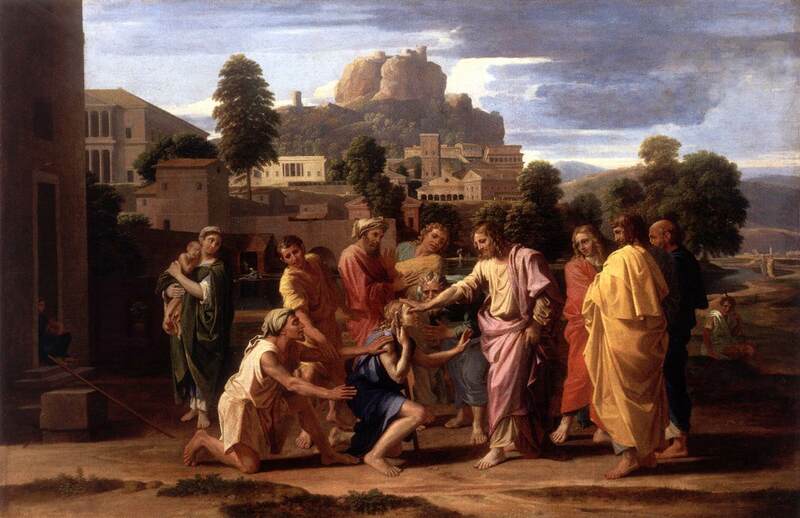 Quinquagesima Sunday invites us to ask for the grace that the blind man had been given: sufficient awareness to beg for the Lord’s mercy in hearing our prayers for forgiveness of sins so that we may live in perfect freedom. Are we as Catholics prepared to be docile and devoted, like Abraham, like the blind man, before the promptings of the Holy Trinity? Music for the service performed by the Schola Cantorum of the St. Gregory Society, will include the Gregorian chant Missa Orbis factor (Vatican edition XI), the chant proper for the Mass (Esto mihi), polyphonic motets by Guillaume Dufay and Antonio Cebrián, and organ music by Eugène Gigout and Ernest Chausson.